Let’s face it: routines can get boring, especially when it comes to practicing your instrument. While practicing is absolutely vital to becoming a talented, badass musician, it can get dull after a while, particularly when you do the same thing over and over. But before you burn yourself out and ditch practicing altogether, why not try something new instead? 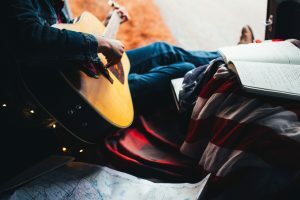 Below are four fresh and unique ways to spice up your practice routine and help reignite your zest for music in the process. Mother Nature is a known remedy for a variety of issues, including boredom, so it makes sense that spending time outdoors is first on our list. After all, is there anything better than breathing in the fresh air and feeling the sun on your face? Add new life to your practice sessions by combining them with the splendor of mother nature. Practice in your backyard or find a nearby park in Scottsdale or Phoenix to play for a bit. Sometimes a change of scenery is all you need to break out of your rut! If you’re feeling bored with your practice routine that means it’s time to change things up. A good way to do that is by getting outside of your comfort zone. For musicians, that usually means playing a more challenging song or playing music in a different genre than normal. Not only will this help you broaden your skills, it will also keep boredom at bay, which is a win-win in our books! As the saying goes, “the more, the merrier,” and that’s especially true when it comes to playing music. The next time you’re feeling lackluster about practicing your instrument, gather up a few of your closest musician friends and make it a jam session instead! You’ll have so much fun, it won’t even seem like you’re practicing! If you’re looking to spice up your practice routine and develop your skills, music lessons are the way to go. With one-on-one music lessons tailored to your personal interests and needs, you’ll learn all you need to know to become the rockstar musician of your dreams! 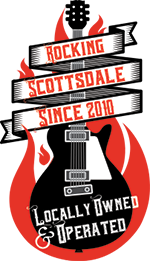 With music lessons by Scottsdale Music Academy, you’ll get to play the songs you want and you’ll learn something new and different at every lesson. Instead of dreading practice, you’ll be excited and eager to learn the next new thing! No matter how you choose to spice up your practice routine, the important thing is to stick with it. Any longtime musician will tell you that there will be days when you’re not as into as others, but don’t let that deter you. Look for ways to spice up your practice routine or simply take a little break to recharge…then get back to it with full force! 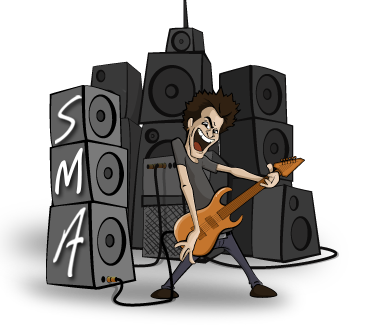 For help with any and everything related to voice, drums, bass, keyboard or guitar, contact Scottsdale Music Academy today! Or sign up for a free music lesson!